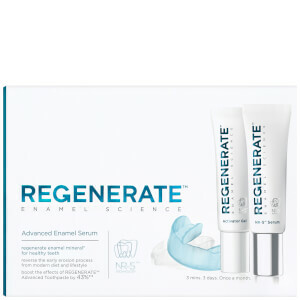 After 9 years of research into enamel erosion, Regenerate Enamel Science present the Boosting Serum Kit specifically made to maximise the effects of their unique Advanced Toothpaste by up to 43%. The boosting serum is formulated with an innovative blend of NR-5™ ingredients, which when blended with the Activator Gel, help to restore the enamel's natural mineral content, meaning the effects of the Advanced Toothpaste are enhanced even further. 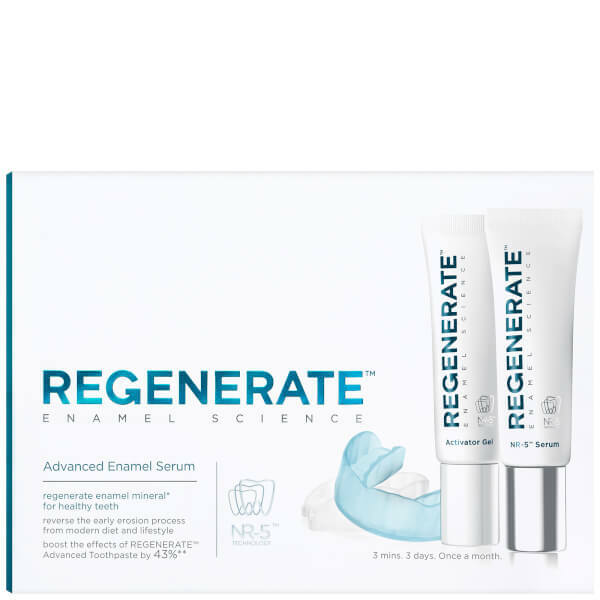 Designed to be used for 3 consecutive days every month, the Regenerate Enamel Science Boosting Serum Kit promises to speed up the reversing process of enamel erosion, leaving your teeth protected and restored back to their original whiteness. Pick up the mouth tray and apply one single thin layer of the NR-5™ Serum in the mouth tray. 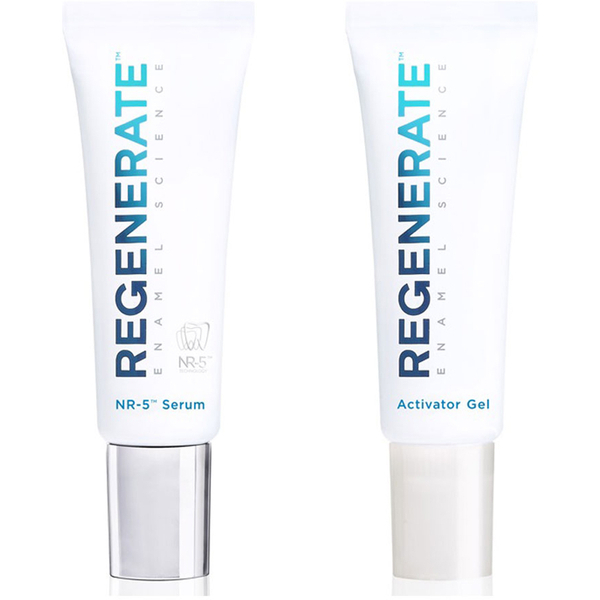 Add one single layer of Activator Gel into the mouth tray on top of the NR-5™ Serum. Use the mixing stick contained in the mouth tra holder and accurately mix the two ingredients. Begin the application in the dental arch of the upper jaw and insert in the mouth tray. Hold the tray for 3 minutes. 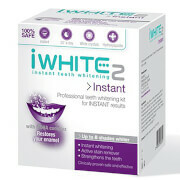 Once the application is over, remove the mouth tray and gently rinse your mouth with water to remove product residue. 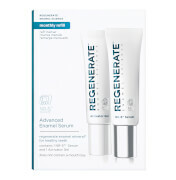 Regenerate Enamel Science™ Boosting Serum should be used every month, for three consecutive days, preferably before bed time. 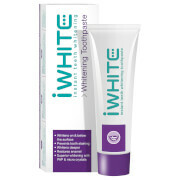 For best results, use it in combination with the daily Advanced Toothpaste. NR-5 Serum: Glycerin, Calcium Silicate, PEG-8, Trisodium Phosphate, Sodium Phosphate, Aqua, PEG-60, Sodium Lauryl Sulfate, Sodium Monoflourophosphate, Aroma/flavour, Hydrated Silica, Synthetic Fluorphlogopite, Sodium Saccharin, Polyacrylic Acid, Tin Oxide, CI 77891, Limonene. Activator gel: Aqaua, Glycerin, Cellulose, Gum, Sodium Flouride, Benzyl Alchohol, Ethylexylglycerin, Phenoxyethanol, CI 42090.